We present you with a detailed summary of their characteristics the 10 most popular mountain bike pants/shorts/baggies for you to buy online. Ideal for Downhill, Enduro, Freeride and All Mountain. Leading brands with experience in the sector like: Troy Lee Designs, POC, Dakine, 100%, Fox, Endura, Gore Bike Wear, Alpinestars, Maloja, Oneal, Madison, Karpos, Speecialized, Mavic, Vaude, Craft, Race Face. Giant Transfer Baggy Short 34-36 waist"
The new Troy Lee Design Terrain mountain bike pants stand out for the integration of the best technologies of the textile sector. They are made with 89% nylon and 11% elastane. This mixture gives them excellent flexibility and breathability, to the point that they do not cause discomfort to the cyclist when he rolls the bicycle. In addition, this type of fabric achieves excellent levels against abrasion and protection from rain and mud. Inside the Troy Lee Designs Air 2.0 Liner detachable bezel for total comfort. Finally, its fit with the body is made by a button and very reliable belts. Made for Downhill, Poc Resistance DH MTB shorts provide great comfort. Its structure has been designed taking into account the position of the rider when riding a bicycle. If we add a fabrication with coated ceramic the result is a low friction when pedaling and excellent protection against falls. In reference to the pockets of this garment we can say that incorporates two in the middle side that go well when storing the mobile, with zipper included. The adjustment is made by a belt and have impermeable properties. Color: black and blue. 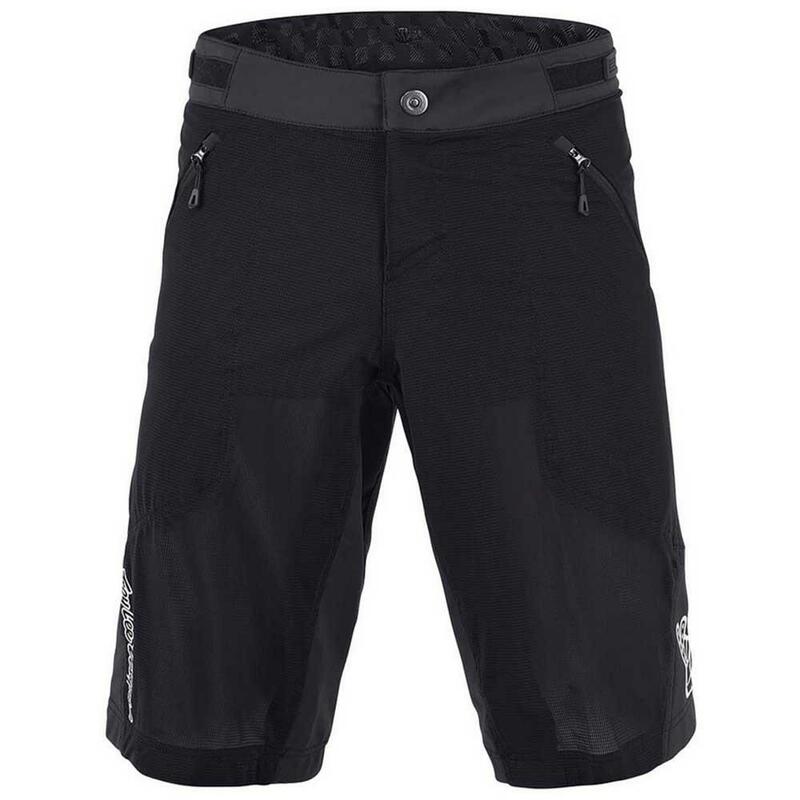 Fox Flexair shorts are the ideal choice for lovers of risky MTB disciplines like DH. Firstly, it is perfect because it prevents the accumulation of heat by means of micro perforated inserts with laser. However, its major argument lies in the TruMotion 4-way fabric, which allows a greater degree of elasticity, and therefore a greater range of motion when cycling. Besides, it is one of the lightest garments in the whole market, an important point when it comes to increasing comfort. As for the protection against falling of these pants we can say that TruMotion fabric is 40% more resistant and durable. As in the Downhill model, these POC Resistance Enduro are very comfortable and lightweight. They differentiate in that this version their objective focuses more on the efficiency of pedaleo and the weight, leaving in a second place the protection before the abrasions. Thus, we are in front of a very light model (on the scale give only 267 grams), which is manufactured with very durable nylon. They incorporate a zipper to ventilate well in the multiple changes of unevenness that there is in the cycling of Enduro. In addition, there are also 2 cremalles on the sides and 1 on the legs with zip. With a minimalist yet functional design we get the new MTB Endura Hummvee Lite II pants. As we say, its texture has an aspect of simplicity. This is because it seeks to improve lightness first. Despite this, this garment is one of the most comfortable transfers to the rider. It has a series 200 series, which, apart from perfectly fitting between the gluteus and the saddle, acts by quickly evacuating the sweat of the area. To make matters worse, it has antibacterial treatment and does not generate pressure points. In short, shorts that stand out for their great value for money. If you are looking for a shorts with a high performance, protection, lightness and ventilation the Troy Lee Designs Sprint are your ideal choice. This model combines lightness with great freedom of movement when pedaling. Another of its attributes lies in the perfect fit that the rider can make through a belt that has up to 5cm of tolerance. In addition, it incorporates pockets with zipper and its ventilation system is of the most effective. In short, a garment that adapts very well to the demands of disciplines like Enduro and Downhill. Colors: black, blue, green, red, white and other designs. 100% R-Core shorts are ideal for DH. These mountain bike shorts are characterized by a very attractive aesthetic, which together with its high performance make them a very complete model. Its manufacture is made with polyester 600D and poly spandex. This blend gives them excellent flexibility and excellent resistance. On the other hand, to create a constant airflow in the interior a fabric of elastic mesh is used. These shorts incorporate the best systems, such as zipper pockets to hold important items, mesh lining for comfort or ventilated laser seams. 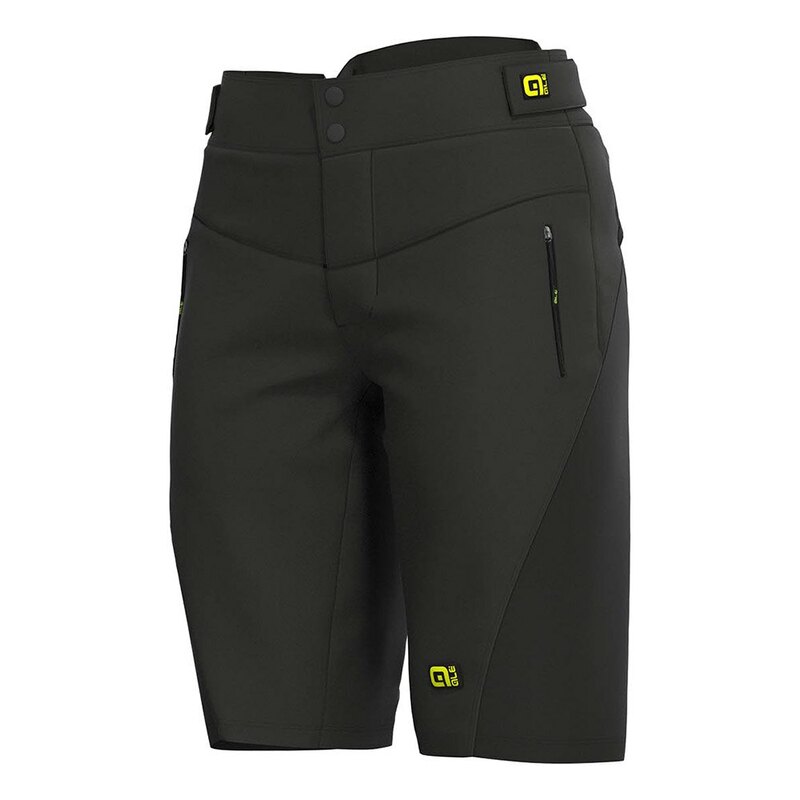 The new shorts of MTB Dakine Ridge stand out for their extreme lightness. They only give 140 grams on the scale. Therefore, they are perfect for high yields on top of the mountain bike. Drawing on their design we see that they are made with nylon with flat seams. In this way, great comfort is achieved for both walking and pedaling. The fastening is to measure of the rider and all the strong that he wishes. In addition, they are very resistant to any misfortune and their useful life is high. Just as we are accustomed to in other models the brand 100% has wanted to put all their experience and good to do in the Airmatic pants. They are made of polyester and elastane of high quality and very light. They are characterized by an immediate drying of the sweat of the area of the legs and a great range of movement in any position. To this last one must be added the lining with full mesh that also manages to increase the comfort of the cyclist. Its design has a loose appearance, which is confirmed by putting them, which allows pedaling without difficulty. Elegant design and competitive performance; This is how the new MTB shorts Royal Storm are defined. Its differential value lies in a revolutionary system of heat evacuation. They are made of perforated polyester, which guarantees an immediate drying. To this we must add that they take antimicrobial treatment to avoid bad odors. As for its structure, in the area of the waist we will find a micrometric closure very useful to hold tightly the pants. Technologies such as inverted waterproof zippers or logos to transport heat complete the garment. Black color. MTB Troy Lee Designs Ruckus shorts are perfect for All Mountain practice. They are very versatile and light and do not fade under any circumstances. They are made with 92% polyester and 8% spandex. They are perfect for endless routes and demanding climbs and descent. They ergonomically fit the cyclist's legs, which is important when exerting force on the pedals. We highlight the following technologies: top fly with snap closure, large number of pockets with zip, several zippers with the utility to evacuate body heat, removable bean, Velcro closure of the belts.